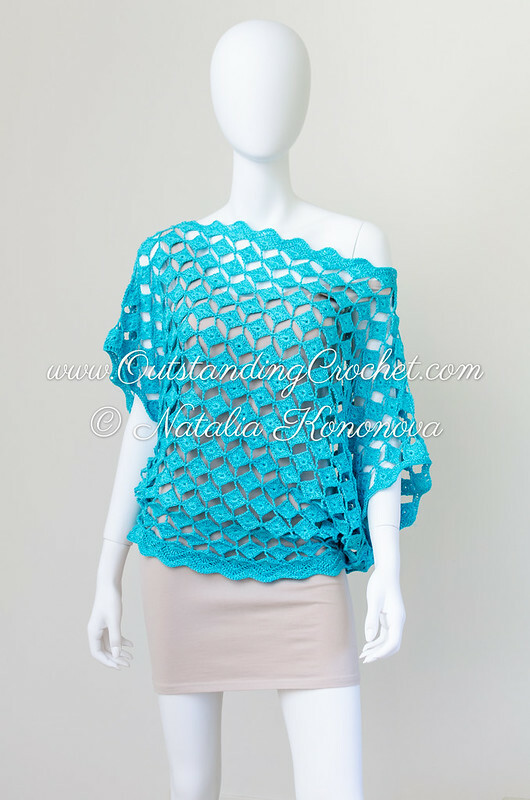 Outstanding Crochet: Crochet pattern in work - soon in the shop - Off Shoulder Seamless Turquoise Top. 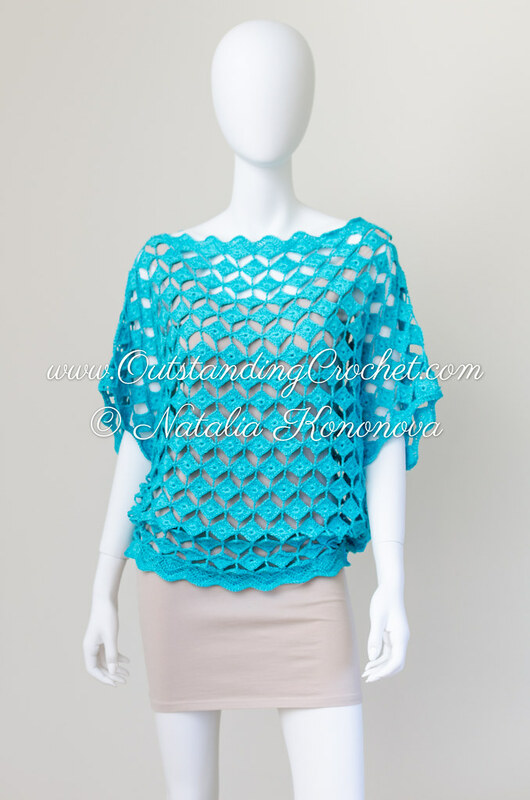 Crochet pattern in work - soon in the shop - Off Shoulder Seamless Turquoise Top. This pattern is available now here (clickable link). I finished the top and working on charts and instructions now. I am very tired, so I made some pictures and taking a break to post them. I modified the initial pattern, making it a bit simpler and more classy in my opinion. 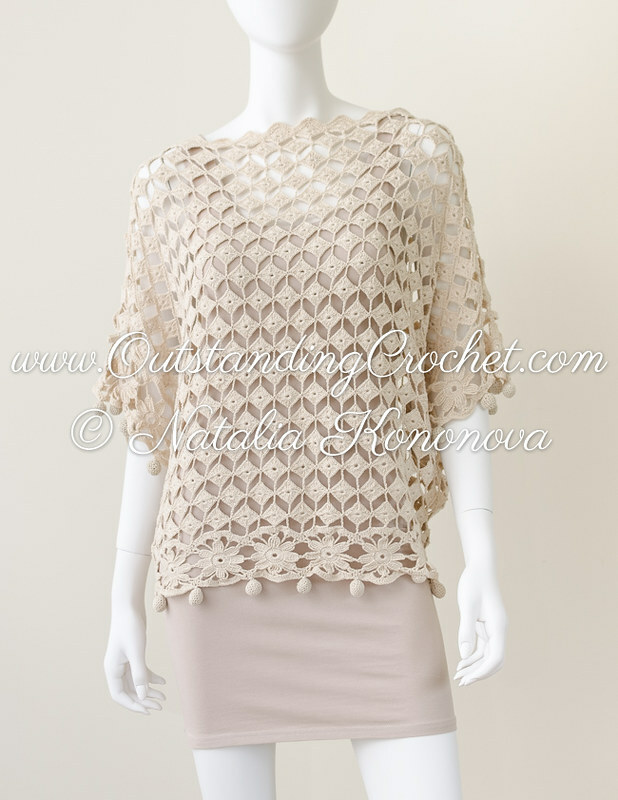 Very pleased with the result, this top will be one of my favorite crochet garments I believe. I fell in love with the border on the beige one when I first saw it. It's obviously more difficult but it's my favorite of all of your work. Thanks for all of your efforts to produce samples and patterns for those of us without your talent. Lindo, lindo! Está elegante sim!!! I love it. I think the original style is also worth offering -- some gals do not like fitted tops because they are trying to hide their middle. Maybe not flowers because they draw attention away from your pattern, but I truly think a simple, loose fitting bottom edge has a rather large audience. As for me -- I personally love the blue one! Beautiful work, as usual, Natalia! Thank you! They are ectually the same fit. I consider making a drawstring for mine, I'd like to wear it on hips. Thank you for the feedback!! Beautiful!The turquoise is more figure flattering for those of us who don't have a flat belly in my experience. Thank you for the feedback, Sylvia!! As an option would be great, but I understand not wanting to spend the time writing a pattern for so few. Hi, Natalia! Where I can see technique of pattern? Very beautiful!